Answers to many frequently asked questions are listed below. Feel free to contact us if you have a question that is not listed. We encourage you to place your order at least 2 weeks prior to your event date or as soon as you have a date set to ensure equipment availability. You can change your order up to two days prior to your event. YES. Delivery fees are calculated according to delivery zip code, type of rental equipment, and any special timing requirements for delivery and pick up. YES. A non-refundable deposit of 15%-20% of the total cost is due at the signing of your Contract to secure your order. This deposit must be paid by check or by credit card. The balance is due prior to or upon delivery. We accept all methods of payment including cash, checks, and all major credit cards. Final payment is due prior to or upon delivery. 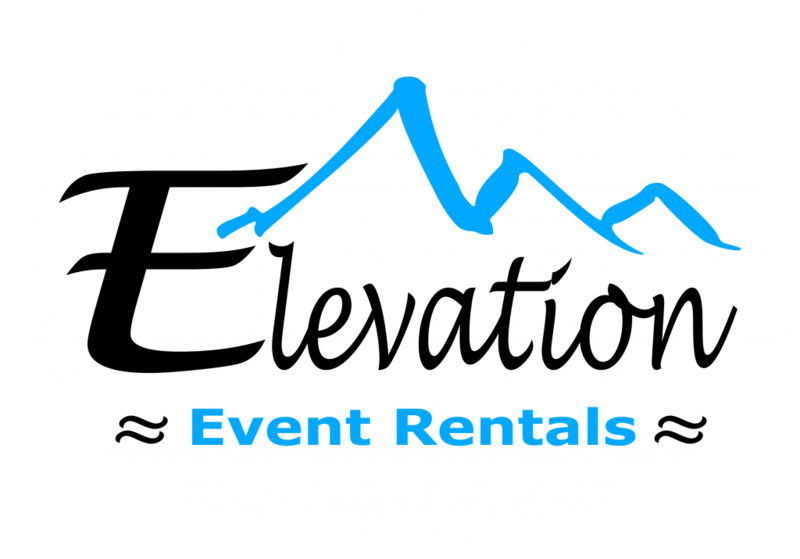 We accept cash, checks (payable to Elevation Event Rentals), or credit/debit card (driver will have a card), or you may pay your balance online at any time before your event date. WHAT IS CONSIDERED AS A ONE DAY RENTAL? Rentals under 5 days are considered a one day rental. DO YOU OFFER SET UP OF TABLES AND CHAIRS? YES. For a minimal fee, we will set up and take down the tables and chairs for your event. Set up of table settings and centerpieces will also be charged a minimal fee. IS SET UP INCLUDED IN TENT RENTALS? YES, with most tent rentals, set up is included. Tents under 400 sqft and center pole tents will be charged a small set up fee. Notice for cancellations must be given 7 days in advance of scheduled event. ALL cancellations will be charged 50% of the order if received less than 7 days prior to scheduled event. Failure to cancel reservation or pick up reserved rental items will result in the order being charged the full reservation amount. There is no charge for canceling due to weather, if cancellation is made before equipment is delivered. CANCELLATIONS DUE TO BAD WEATHER? There is no charge for canceling due to inclement weather (rain, snow, wind). Cancellation must be made before equipment is delivered. If you decide to have the equipment delivered anyway, you are responsible to pay for the full reservation amount, no discounts will be given. WHEN DO I NEED FINAL NUMBERS FOR MY ORDER? We encourage you to submit final numbers of your order up to two days prior to your event. CAN I CHANGE MY ORDER AFTER I’VE SIGNED A CONTRACT? YES. Just call the office or send an email with your desired changes. WHAT IS A DAMAGE WAIVER AND IS IT REFUNDABLE? The damage waiver charge is 8% of the rental contract total and is non-refundable. It covers accidental damage due to normal wear and tear of the rental equipment. It does not cover damage caused by lack of care, vandalism, malicious mischief, theft, mysterious disappearance, wrongful conversion overloading or exceeding rated capacities, misuse, carelessness, neglect, or abuse. The Damage Waiver Charge does not apply to linen damage, specifically burn holes, wax stains, or other difficult to remove marks. DO YOU OFFER AN ON-SITE INSPECTION AND CONSULTATION? YES. 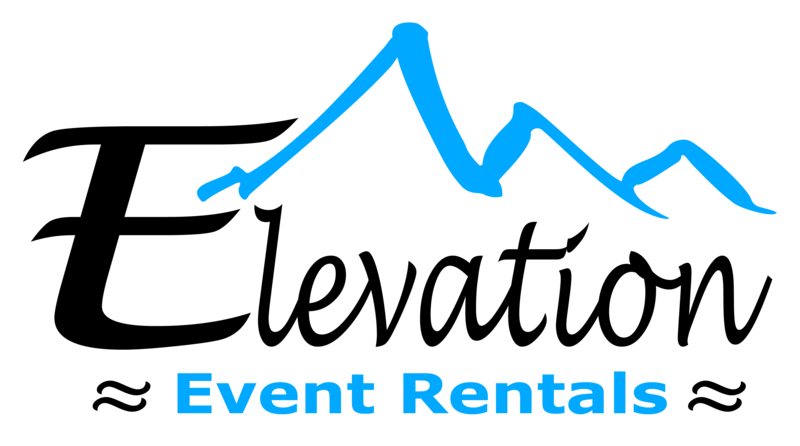 We will meet you at the event site and do an on-site consultation and inspection to ensure proper set up on the event day. This is especially encouraged for large and multiple tent set ups. DO YOU SET UP IN PUBLIC PARKS OR VENUES? YES. You must have permission for tents set up in a park or venue. A permit may be required. Please allow 7-14 business days to arrange this service. Yes, but many venues and public parks will require you to be in and out at specific times. This will cause the price of your delivery to increase. We must have a first & last name of a contact person at the venue and a phone number to confirm all delivery times and dates. DO I HAVE TO CLEAN THE EQUIPMENT BEFORE RETURNING? Tables and chairs must be clean of debris, stacked and ready for pick up. Food Machines and Food Service Items should be emptied, rinsed, dried and re-packed in the containers in which they were delivered. Linens: We ask that all food and debris is removed and linens are dry prior to placing in the soiled linen bag provided with rental. We will charge a fee for missing and/or damaged linens. Take special care with candles as melted wax will damage linens. DO THE DRIVERS ACCEPT TIPS? Tips are not required but are truly appreciated. Appropriate tip amounts are $5-$20.